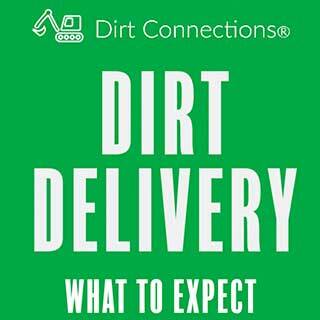 Dirt Connections offers Vienna, VA fill dirt delivery to residential and commercial construction sites. No project size is too large or small for us, and we can provide the free fill dirt needed to complete your residential or commercial project on time and without breaking the bank. With assistance from Dirt Connections, you will have one less thing to worry about for your project. 7 Schedule a Vienna, VA Fill Dirt Delivery Right Away! If you have a moderate to large construction/remodeling/development residential or commercial project planned, you will more than likely need fill dirt. Fill dirt is a requirement when building foundations for buildings, and can also be used to level terrain and fill in holes and divots on landscapes. The size and requirements of the unique project will determine how much dirt is needed. 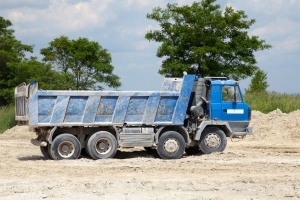 Dirt Connections is able to deliver dirt to any size project in Vienna, VA – including large projects that require a great deal of truckloads. In Vienna, VA, residential and commercial construction projects can often be seen underway as the town continues to slowly expand. We have created and maintained reputation of excellence for our dirt delivery service over the years in Vienna, VA. Because of our familiarity of the Vienna, VA are, we are able to successfully manage the unique challenges that the area provides. This means that regardless of where your project is occurring in Vienna, VA, we will be able to make our delivery on time and on schedule. Our company can supply any and all of your fill dirt needs, no matter what size your project may be. Additionally, we offer free Vienna, VA fill dirt delivery to anyone needing ten truckloads of dirt or more. A delivery fee may apply based on the job site’s proximity, specific demands, and availability of any additional required materials. Get in touch with us to verify the details beforehand. Our company requires a full inspection of the job site beforehand to ensure safe access and delivery. All site inspections are provided free of charge. The owner or agent of the site must be be present to grant authorization prior to inspection before finalizing the order. Any project that requires excavation almost always results in an excessive amount of unwanted dirt afterwards. Fortunately, we also offer dirt removal to compliment our dirt delivery, and are fully equipped to make the process fast and efficient. Simply let us know and we will handle the excavation, hauling, and dumping aspects of your excess dirt. Our Vienna, VA fill dirt delivery services makes completing your project easier by delivering the fill dirt you need directly to your job site at an affordable rate, or even for free. Because of our extensive familiarity with the Vienna, VA area we can ensure punctual delivery. Additionally, our complimentary site inspection ensures that your delivery will go smoothly and once your project is complete, we are happy to clear any unwanted excess dirt. With Dirt Connections, you will have one less detail to worry about. Running out of fill dirt midway through a project can cause a lot of problems. Because of this, it’s encouraged to properly measure your construction area to gauge how much dirt you will actually need beforehand. Measuring your construction area depends on the size and the shape of the are being worked on. Estimating dirt for rectangular projects is different than estimating dirt for circular projects. Things are a little more complicated for rounded areas. Begin by measuring the diameter of the area, and then its depth, and record both values once again in inches. The correct volume is found by multiplying pi (3.142) by the radius squared and then by the depth. Schedule a Vienna, VA Fill Dirt Delivery Right Away! 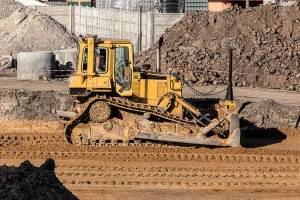 No matter what size project you have on your slate, Dirt Connections can always be depended on to help with any of your fill dirt needs. Our Vienna, VA fill dirt delivery service is not only convenient, but highly affordable as well. We encourage you to reach out to us by calling or by sending a message online before starting your next project to see how we can make things easier for you.